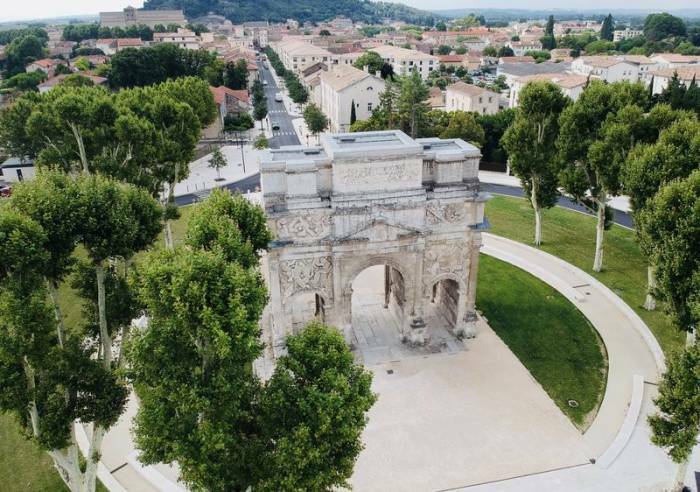 The Triumphal Arch, classified UNESCO world heritage, is an exceptional monument characteristic of Roman architecture in Provence. This arch is composed of three openings, two levels, several coat of arms and an abundance of decorative figures sculpted into the limestone. 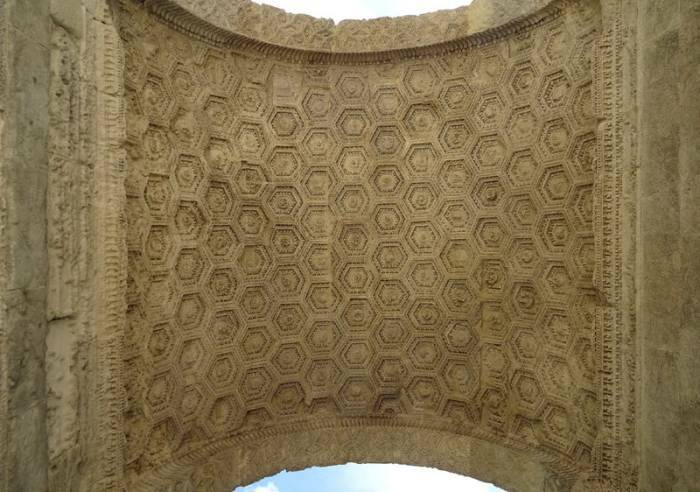 This arch is one of the oldest and biggest of its kind from the Gallo-Roman period. 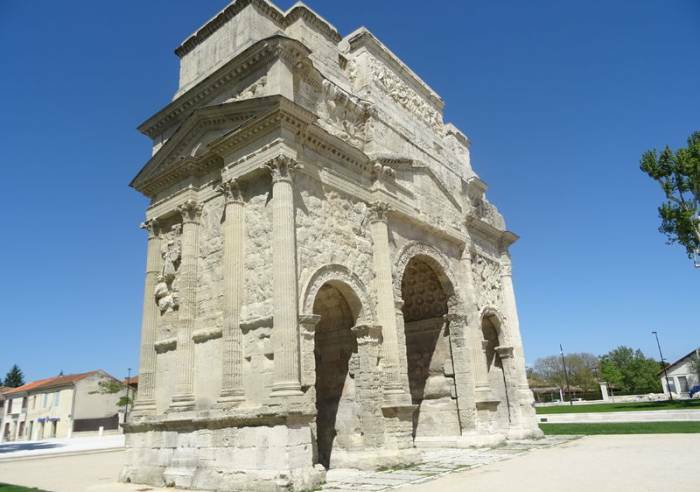 Located on the Via Agrippa, this Triumphal Arch does not represent any victory in particular but rather symbolises Roman supremacy over land and seas. Dedicated to the glory of its veteran armies and then to Emperor Tiberius, it marked a road of honor, and stood as the border between the world of the dead and the ancient Roman city. 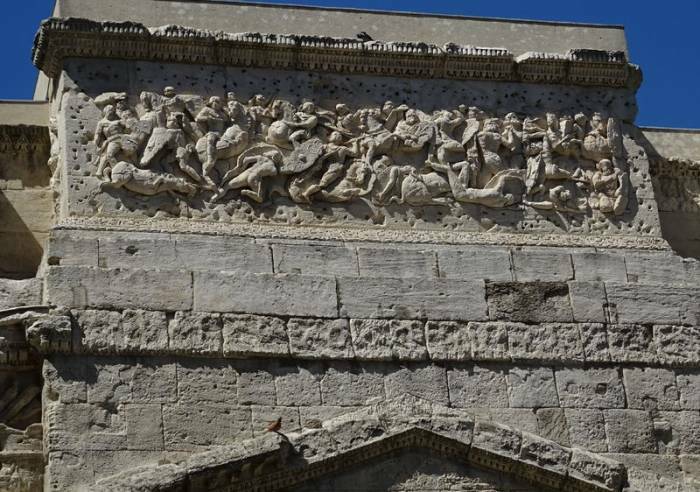 Access to the Triumphal Arch is free of charge, and guided tours are available for groups on a booking made at the Tourist Office T. 04 90 11 02 31.
, Parking, Pets welcome, Tourist information, Tour free of charge.